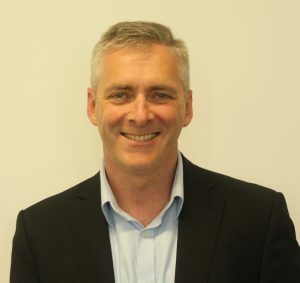 Interregional Sports Group (ISG) has appointed Chris Buckley to the role of Group Chief Executive Officer. Buckley, an experienced senior sports and business executive has held board positions at national, international and multi-national companies in the media and technology sectors. A former director of the Press Association and CEO of PA Sport, he has worked with and advised some of the world’s leading sports rights holders and federations. During his time as CEO of Supponor he was a pioneer of virtual advertising in sport delivering a string of firsts with the Football Association, NBA, and La Liga. ISG founders Simon Burgess and Tony Ragan will become joint Chairman with a focus on the acquisition and execution of major rights with Buckley taking day-to-day responsibility for the running of the Group’s operational business. ‘This is a crucial appointment for us,’ said Ragan. ‘ISG has grown rapidly to become a world leader in its field. To maintain that position requires the addition of executives of the highest level and Chris brings with him a wealth of experience and knowledge of our industry. We are delighted he has agreed to join us,’ he added. For Burgess, the appointment is a perfect fit: ‘Chris has worked with leading sports federations around the world and been involved in driving innovative technologies across the sector. He is extremely well matched to our aims and ambitions,’ he said. ‘I’ve been extremely impressed by ISG’s ability to drive value for sports rights holders and brands through the implementation of new technologies,’ explained Buckley. ‘ The company has become a leader in this space and I’m very excited to be joining them,’ he added.